The film Otto e mezzo (8½), regarded by some critics as the director Federico Fellini's greatest work, was released in Italy on this day in 1963. It was categorised as an avant-garde comedy drama but the description hardly does it justice given its extraordinary individuality, evolving from conception to completion as an interweaving of fantasy and reality in which life not so much imitates art as becomes one and the same thing. 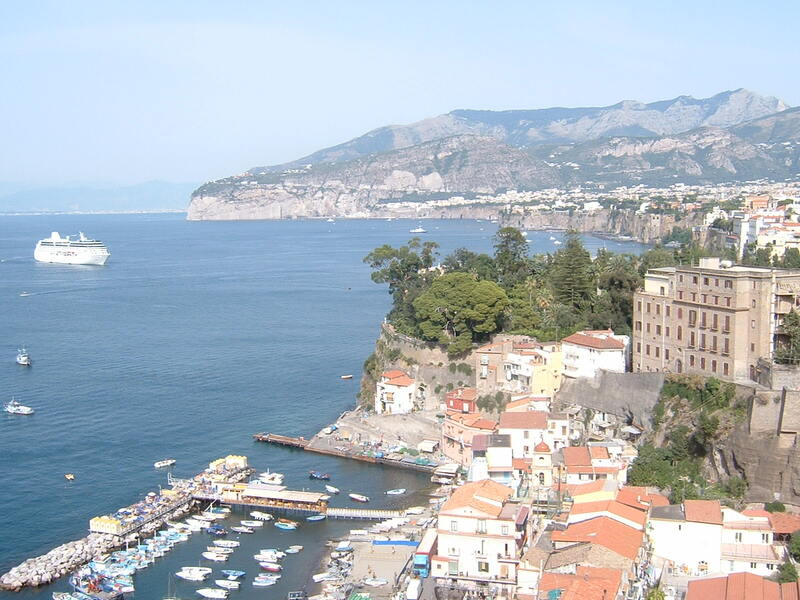 By the early 60s, Fellini was already a three-times Oscar winner following the success of La Strada, Nights in Cabiria and La Dolce Vita, the last-named having also won the Palme d'Or at Cannes. La Dolce Vita had signalled Fellini's move away from the neo-realism that characterised cinema in Italy in the immediate post-war years towards the surreal interpretations of life and human nature that became popular with later directors and came to define Fellini's art. While that movie was generating millions of dollars at the box office and turning Marcello Mastroianni and Anita Ekberg into international stars, Fellini was under pressure from his producers to come up with a sequel. He had an idea but it was little more than a vague outline, a story about a man suffering from creative block. He knew it would be about the internal conflicts thrown up by artistic and marital difficulties and the opportunity to reflect brought about by a period at a health spa recovering from what might today be interpreted as nervous exhaustion, but he had no clear vision of the script, could not decide the profession of his main character and did not even have a working title. 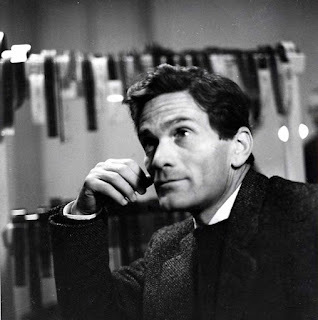 Pressed by the producers to sign off on a deal, it is said that he chose Otto e mezzo on the basis that he had directed six feature films, worked jointly on another and made two shorts, each of which he considered to be worth 'half a feature' and that therefore his latest would be film number eight and a half in his directing career. He had still not developed a coherent idea when he was ordered to start production in the spring of 1962 yet the wheels were in motion. 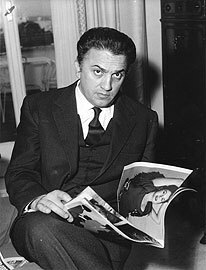 Filming dates were agreed, sets were constructed and actors were hired, including Mastroianni for the male lead, yet other than coming up with a name, Guido Anselmi, for his main character, Fellini was scarcely closer to any clarity of thought. In fact, he would have told Angelo Rizzoli, his producer, that he was abandoning the project had he not been summoned to join the crew in celebrating its launch just as he was drafting a letter to that effect. Fellini later admitted that as he raised his glass to toast the film he "felt overwhelmed by shame" but that the moment of despair then became one of inspiration. "I was in a no-exit situation," he said. "I was a director who wanted to make a film he no longer remembers. And lo and behold, at that very moment everything fell into place. "I got straight to the heart of the film. I would narrate everything that had been happening to me. I would make a film telling the story of a director who no longer knows what film he wanted to make". The result was a film that blended the storyline such as it was with fantastic dream sequences as the characters moved between reality and Guido's imagination, Fellini so often indulging in impulsive improvisations that essentially he was making up the movie as he went along. As was the way with Italian films at the time, the dialogue was overdubbed afterwards, which from the point of view of the actors trying to keep up was probably just as well. Yet the end result, starring Mastroianni as Guido, the French actress Anouk Aimée as his wife, and two Tunisian-Italians, Sandra Milo and Claudia Cardinale, respectively as his mistress and the Ideal Woman of his fantasies, was received with almost universal acclaim. Critics conceded that audiences might find it challenging in its complexity but generally hailed it as a triumph. One wrote that it had advanced avant-garde cinema "by 20 years in one fell swoop because it both integrates and surpasses all the discoveries of experimental cinema". Another praised its "fantastic liberality, total absence of precaution and hypocrisy, absolute dispassionate sincerity, artistic and financial courage". 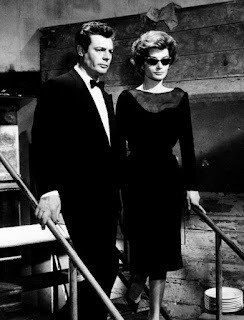 8½ won two Academy Awards, for best foreign language film and best costume design (black-and-white) as well as nominations for best director, best original screenplay and best art direction (black-and-white). 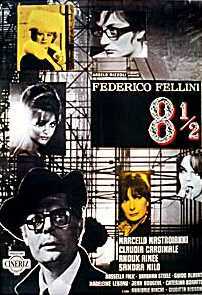 The New York Film Critics Circle also named 8½ best foreign language film while the Italian National Syndicate of Film Journalists awarded the movie seven prizes for director, producer, original story, screenplay, music - by Nino Rota - cinematography (Gianni di Vananzo) and best supporting actress (Sandra Milo). 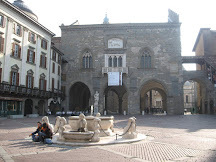 At the Saint Vincent Film Festival, it was awarded the Grand Prize over Luchino Visconti's Il gattopardo (The Leopard) but had to be passed over for an award after its screening at the 1963 Cannes Film Festival because it had been shown outside the competition. It also won the Grand Prize at the 3rd Moscow International Film Festival. 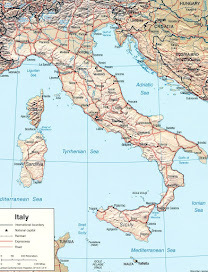 Fellini was born in 1920 in Rimini, on the Adriatic coast, which with 15km (nine miles) of sandy beaches is the largest resort in Italy and famous across Europe as a holiday destination. 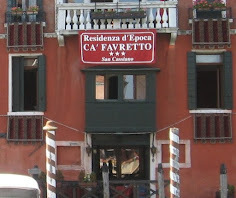 It is said to have more than 1,000 hotels. 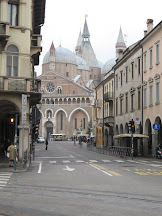 Away from the sea front there is an older part of the town with relics that reflect its Roman origins. 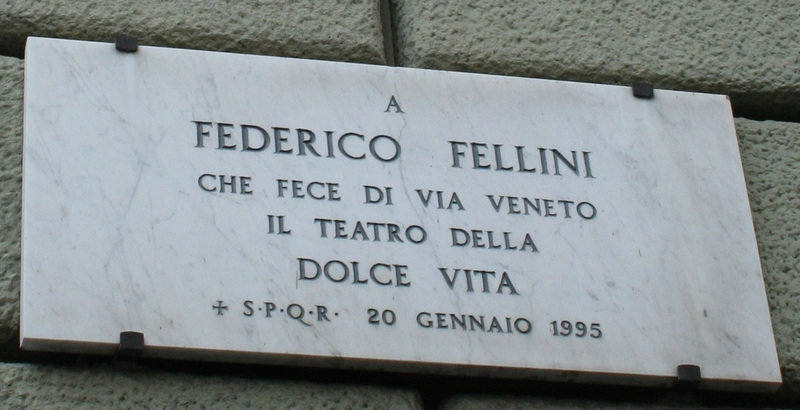 Rimini is proud of its heritage and a Federico Fellini Museum can be found in Via Clementini in the historic centre, covering everything related to his life and career. 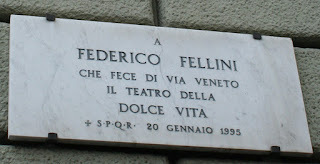 Although Fellini's body was returned to Rimini after his death in Rome at the age of 73, and is buried near the main entrance to the Cemetery of Rimini in a tomb designed by Arnaldo Pomodoro, Fellini is also commemorated in Rome, including a plaque on the Via Veneto celebrating the street's central role in La Dolce Vita.